3375 So tell me how did you begin your career as an music artist? SEEMORE I was always writing; probably from the age of 11 or 12. I was also very passionate about Hip Hop music. I started recording at 15. And it just took. 3375 Do you have a upcoming project that your working now? SEEMORE Yes I do. I'm working on my next mixtape 'LA PASSIONE'. 3375 What are some goals for your career/music 3yrs from now? SEEMORE I'd like to have a couple albums out. To have made my mark in the industry. To take Hip Hop back to its glory days. 3375 Can you describe the process you go through creating your music? SEEMORE There is no exact process I go thru when I write. But I usually write my best music when I'm going thru things. Even if it be things that are just going on around me. Things that affect me in a type of way. Sometimes I will write to beats that move me. Recording is a whole different process. I'm probably my own worst critic. Pushing myself constantly. But when I'm finished with it, I'm more confident then ever. 3375 Where do you see yourself in the next one to two years? SEEMORE Heavy in the game. I won't stop till I get to where I feel that way. 3375 What can we look forward to from you in 2012? SEEMORE Some hot singles droppin shortly off of the 'La Passione' mixtape. Some exciting collaborations. A new movement. Touchdown Gang!!! 3375 Who have you worked with (underground or not) during your career? SEEMORE God. My family. My crew. Lord knows it's been a ride. Everybody supporting me out here. All love. 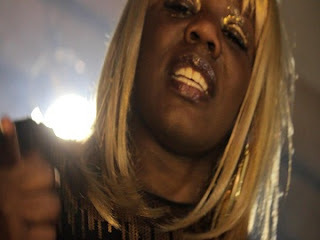 SwéZi is a young female songwriter, producer and rap artist who is introducing a sub-genre of Pop to the world which she likes to call Urban New Age. It's a new form of Dance music akin to Disco seasoned with a little southern Hip-hop flavor. The Atlanta native is influenced by rappers Missy Elliot, Flo Rida, and Ke$ha. 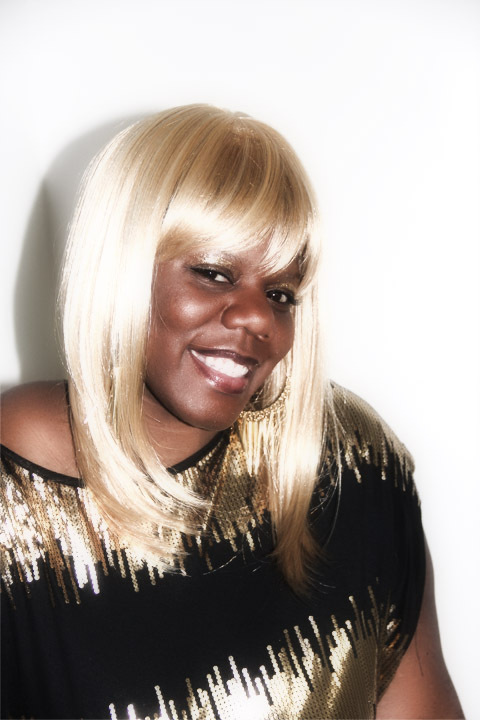 Numerous of songwriters and producers have influenced her from Diane Warren to Quincy Jones. SwéZi's debut LP, "Purple Thrilla", is currently in production. The lead single, LOVE YOUR ENERGY, has been released along with its official video. SwéZi *I was born into a musically inclined family. I've always been surrounded by instruments and equipment. 3375 How would you describe your style and why? And what do you feel you can bring to the table as an artist? SwéZi *I have been compared to Da Brat & Tupac. However, I don't do "Gangsta Rap", I just do entertaining Pop music. 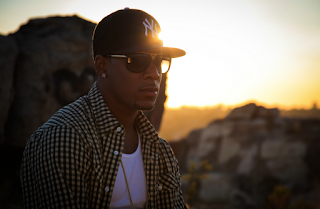 3375 What do you feel has been your greatest experience thus far as a music artist and why? SwéZi *It would be the whole experience of releasing "Love Your Energy". The process made a lot of me although the journey continues. 3375 What do you feel is the biggest challenge you face being an artist? SwéZi *Dealing with other people's doubts. I had people closest to me doubt - not my talent - but my chances of being successful. 3375 Who would you want to collaborate with in the music industry and why? SwéZi *Andre 3000, Kanye West and The-Dream, for obvious reasons. These are people whose talents I truly admire. SwéZi *Because I honor greatness and don't look down on artists who are commercially viable, I feel that I rank right along with the artists topping the Billboard Hot 100. I'm very futuristic and progressive so I'm open to new sounds that the world takes a liking to. I study these people, their track records and their struggles. I read their biographies, listen to their interviews and notice how passionate they are about working hard to make great music! 3375 What are you working on now and when can fans expect to hear more from you? SwéZi *My debut solo LP, "Purple Thrilla" is currently in production. Expect it this year. At this time, "Love Your Energy" is available on iTunes and I hope to see you all on the promo tour. 3375 If music never existed what do you think you would be doing? SwéZi *Speaking publicly to encourage others to manifest their dreams, no matter the challenges. 3375 So what do you want to accomplish as an overall artist? SwéZi *Money. That may sound shallow to some but oh well. I am a musician with several musical talents. Artistry is one of them. I believe that the gifts innate in us should be income streams. Now, I've chosen to do only a certain type of music so I hope to make people happy after they leave my show. However, it's a career I plan to aid me in building wealth for my family. 3375 Who and what are your influences? SwéZi *This is a difficult one. I 'll just keep it short. Flo Rida, Black Eyed Peas, Ke$ha, Usher, OutKast . . . I could go on. I could write a book off this one question. 3375 What do you think of the R&B/POP music world right now? SwéZi *I love it! I absolutely love the direction of the New Age R&B. Very catchy and creative melodies. The more people experience the more substance it will start to have but hey, music is music. *I definitely check everybody out. I'm a lover of music. But right now? It's just me. I do that sometimes. SwéZi *Of course! Big shouts to Runk Digital Music Group, Ernie Urban, JoviiHendrix, and my mama, Judy! Oh yeah, Zone 6! East Side, Shawdy! Est. August 2011 R-tistic Swagga is operated in Washington,DC but is a Cali base company.It's bringing that Cali Swagg to the east coast by being so diverse and abstract. 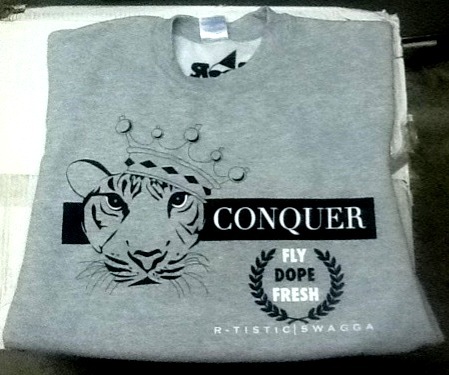 R-tistic Swagga would be the type of line for those who think outside the box. Art is what we bring, not just some t-shirts with "Fancy Fonts". 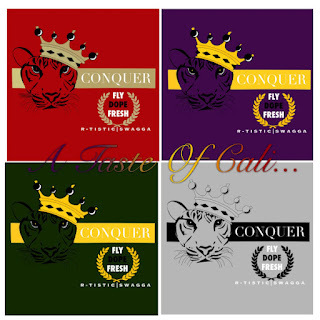 With our first release in March, our Conquer Crewneck, more people have taking an interest in what the line will be releasing for the summer, with three different series being released to go along with our Motto Fly, Dope,Fresh we are coming to takeover the urban wear by storm. We print our designs in limited numbers so people can feel like they rocking the exclusive look. Diana Gottschalk-Miller is both artist and creator behind R-tistic Swagga. You rarely see females behind scenes as the CEO and artist now a days and she felt that needed to be changed. With being a single mother of four she has that drive to want more out of life. She wants to let young girls know you don't have to be "the first lady" of someone else business, with hard work and dedication no matter if your male or female anything is achievable. 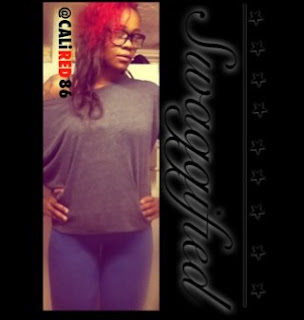 With her Californian up bringing and then going to school in Washington, DC she has seen style from one extreme to another, and that in-between flavor that's where you would find r-tistic swagg swaggin it out! 3375 Where did the name R-tistic Swagga come from? Diana The name was like a light bulb type of thing. I was brain storming with names,many names and I thought what describes me. Swagg came first and threw out my life I have always did some form of art and then "light bulb" I thought of artistic. And with my creative genius R-tistic Swagga was born! 3375 What is R-tistic Swagga about? Diana R-tistic Swagga is about being your self, wearing what expresses your own Stlye. Their are so many clothing lines out here, but they don't cater to the skaters, the dancers, the sneakerheads,the gamers,the music junkies,the ones that feel they just don't fit in all in one line.I feel all of these groups of people just think another way, we all think outside the box the possible is possible, the dreamers! And it's about time a line start to show more it's better to be you then to be a copy of somebody else. 3375 What makes you different from every other clothing line? Diana Simple, we bring art. Theres so many street wear clothing lines that glorify fonts and then charge an arm and a leg for them. I'm creating clothing where you get what you pay for. My designs make you think, the type of designs to be a picture in a picture, something that makes you say ahhh that's dope! 3375 Where do you get inspiration for the designs? What helps you think of them? Diana Lol Playing Wiz Khalifa song "The Race" so serious, every design, every creative thought comes from me listening to that song. Everything about that song, the beat the lyrics creates an opportunity to zone out and my imagination just runs wild. 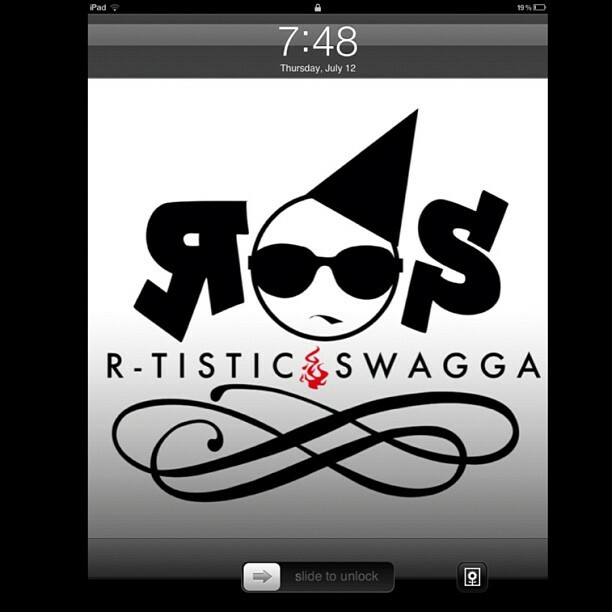 3375 We noticed that R-tistic Swagga's logo is a huge eye catcher. How did you guys come up with that? Diana The logo was originally part of another design I did called stupid dumb fresh. All the other almost logos wasn't really clicking for me, and then I went back to the design to change somethings around and was like Ah! That's it! 3375 What motivated you guys to start a clothing line if you didn't have plans to do so before? Diana Well I knew I wanted to be my own boss, I have always been that free spirit type, and just knew a 9-5 wasn't for me. At the time I was drawing coworkers tattoos, and a lot of people saw my drawing skills and asked me all the time "why are you here? You should be in some art school some where." A lot of my coworkers felt I would be a good tattoo artist but even though I'm ink lover, I really couldn't see my self doing it everyday. One night I was listening to the song I mentioned earlier "The Race" thinking what could I really see my self doing everyday of my life, I'm a sneakhead and I really didn't see a lot of lines that cater to making gear that matched with the latest kicks to come out, something in me was like that's your niche! And the rest is history. 3375 Did you except to start a street wear line? Diana Yea no question,being from Cali bright color skinnies, vans, graphic tees is what we wore. That was my Stlye, so I couldnt shy away from it or my all wouldn't be in it. I wanted to create a line I would wear my self. 3375 Would you ever collaborate with other clothing lines sometime in the future? Diana Yes, a few of my team members Famousz and London have up and coming clothing lines their self, so I plan on working with them in the near future. 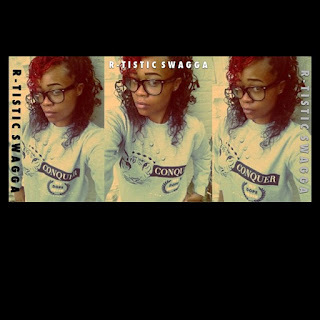 3375 Would R-tistic Swagga be considered a street wear line or will it cross over into other types of style? Diana R-tistic Swagga is a street wear line, our style might change up but it will always be a line for those that don't fit in with the average, those that think outside the box. 3375 Are there any other plans for R-tistic Swagga that do not include clothings? 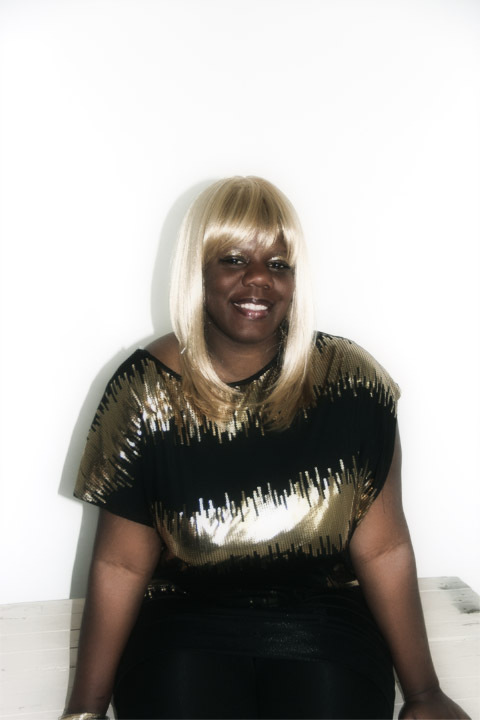 Diana We are trying to make R-tistic Swagga a household name, from music to dance to community work. The music side of R-tistic Swagga is something quite unique, theres lyrical rappers hip hop artist all around artist. I wanted to Bring different sounds together. The dance side of R-tistic Swagga is weird how i got involved. Me being from Cali and even living in San Deigo, the whole Jerk Movement was blind to me, i dont know how but it was lol.It wasn't til I came back to DC and meet a jerk crew called Bravo Kidds to see what a exciting new thing that was right in front of my eyes. The jerk movement is truly taking over. After seeing videos of the bone braking,tutting, and footwork, I knew I had to have a crew down with my line involved in this movement. But jerking is the biggest in Cali, and I have seen a lot of good talent on the east coast aka "The Beast Coast" so I am in the works to putting together a big competition for the beast coast so they can get a more exposure. And my finally project I'm working on right now is the most closest to my heart. Our anti-bullying campaign called S.O.S. (Speaking Over Slience). My own child was getting bullied and I wanted to see how I could help out with this problem, and when I read the statistics of bullying, it blow me away and most people have no idea. It is estimated that 160,000 children miss school every day due to fear of attack or intimidation by other students ( National Education Association) American schools harbor approximately 2.1 million bullies and 2.7 million of their victims. (Dan Olweus, National School Safety Center) 1 in 7 Students in Grades K-12 is either a bully or a victim of bullying. 1 out of 20 students has seen a student with a gun at school. These statistics will only get worse if us as young people don't speech up and get involved.Us 80s and 90s babies have way more power then we think. So with putting together S.O.S we plan on doing our part in making people aware that this is a serious problem and needs to be made illegal. Kids as young as 12 should not be taking their our life, because they feel that's the only way to stop other children from picking on them. 3375 Where can people purchase merchandise? 3375 Will it be in stores? 3375 Do you have any shootouts?